Big Blog Exchange: I’m a finalist!!! It’s official- I’m part of the Top 100 finalists for The Big Blog Exchange! Throughout the past month, I’ve repeatedly asked for your help and support regarding the competition. To everyone who kindly and eagerly voted, THANK YOU THANK YOU THANK YOU x infinity. It’s because of each and everyone of you that I’ve reached my goal of becoming a finalist. I cannot express my gratitude enough. THANK YOU. Every single detail of it. Blogging has become of one my greatest loves and I absolutely love sharing my adventures with my readers. Through photographs and words, I promise to document the life-exchanging experience that BBE offers. As one of the few teenagers who made it to the finals, I would love to represent my fellow young adults as well as be the one to show them the beauty of exploring new places and cultures. Aside from that, I also want to be the reflection of Filipinos and motivate the people I will meet abroad to visit the Philippines sometime! Being a bookworm, one of my missions in life is to actively promote books and literature. I want the chance to take my campaign for reading across the globe, to wherever BBE may assign me should I win this exchange. I’ve had my fair share of experience when it comes to travelling and I know there’s much I can contribute to encouraging people to circumnavigate the globe. Also, as the lone representative of the bookish community, let me show everyone the insights of a reader when it comes to travelling. Trust me, readers are great travelers. We’ve journeyed a whole lot through books and are more than ready to traverse the world outside of fiction! 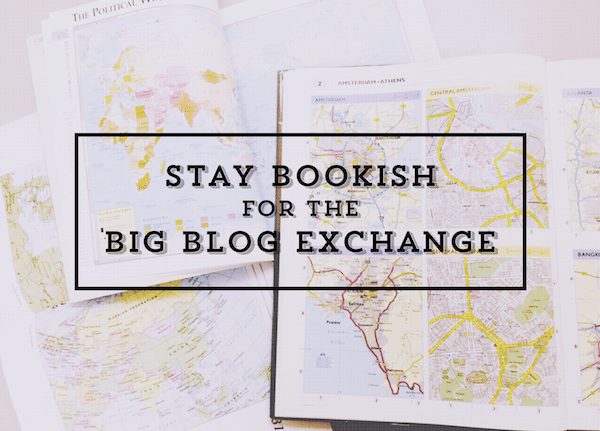 To my dearest readers, why do you think Stay Bookish deserves to win The Big Blog Exchange? Would love to hear from you! I’m so happy for you, congratulation!! I AM EXTREMELY HAPPY TO HAVE BEEN PART OF THIS WONDERFUL PROCESS OF PROMOTING YOU!!! I WISH I HAD DONE MORE! BUT I AM HOPING FOR THE BEST AND HOPEFULLY YOU MAKE IT TO THE TOP 16!! Hey Hazel!! I’ve been voting for you every chance that I get! So so so happy that you made it to the finalists!! Fingers crossed that you’ll make it to the top 16!! What an opportunity!! Fingers and toes, and eyes, and nose… wait… all but the last one – crossed for you!! I’m so happy for you Hazel. this is truly well deserve. At a young age I’m glad you found the love for books and shares it to others. Good luck sweetie! CONGRATULATIONS!!!! AHHHH, this is amazing news. So happy to finally have read your blog, Hazel – it’s lovely! Crossing my fingers for you for the BBE! Hi Hazel! Congratulations for getting into the Top 100! 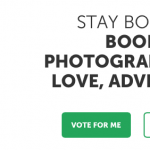 I have just discovered your blog through BBE as I am a finalist too! 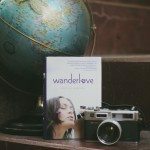 As a fellow book lovers I really like your blog and I have just subscribed to it too! Good Luck in the final phase! :) Samantha @ The Wandering Wanderluster!